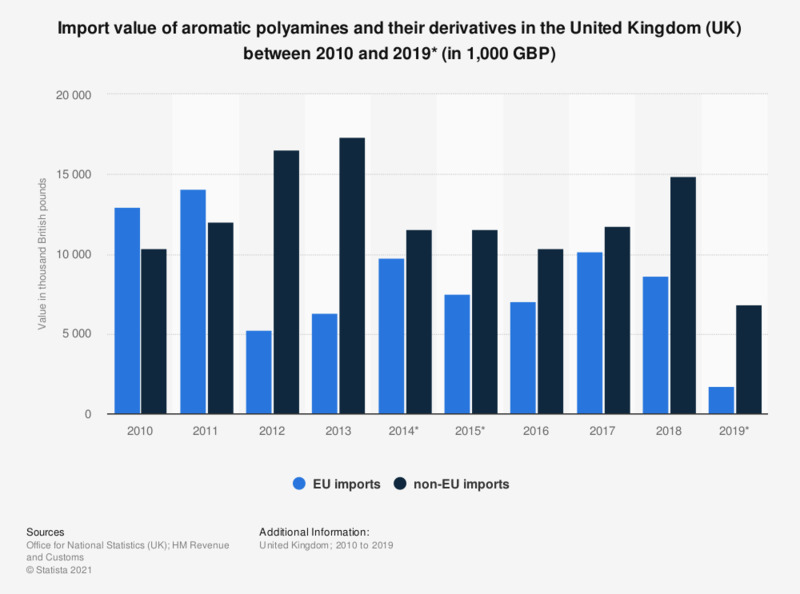 This statistic shows the value from EU and non-EU imports of aromatic polyamines and their derivatives in the United Kingdom between 2010 and 2018. EU imports of aromatic polyamines reached a value of 10.2 million British pounds in 2017. Aromatic polyamines and their derivatives; and salts thereof.